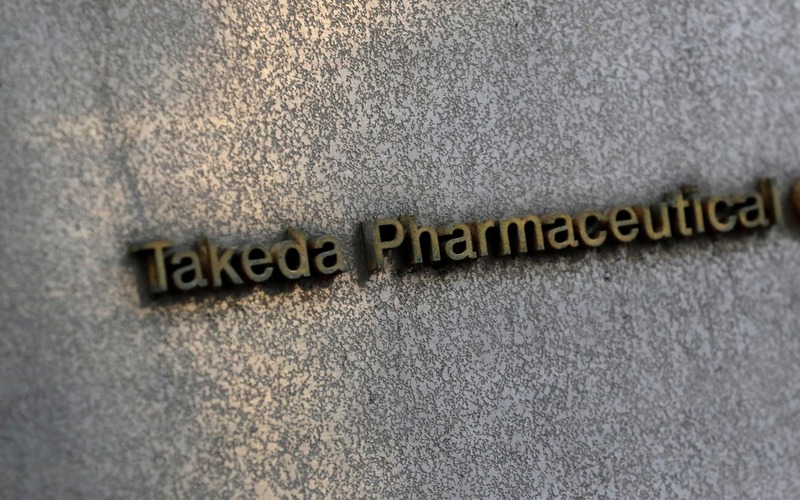 Japanese drug maker Takeda is facing questions over its ability to finance a debt-fuelled deal for FTSE 100 rival Shire without placing further strain on its stretched finances. Ratings agency Moody’s has warned that Takeda will need to pile on more debt to its already weakened balance sheet if it wants to buy the drug maker. Shire’s shares jumped by nearly a fifth last week after Takeda’s interest emerged, amid expectations that the Japanese firm’s approach may have started a possible bidding war. Other big pharmaceuticals players, including AbbVie, Novartis and Pfizer, have in the past been linked with takeover bids for Shire, which specialises in neuroscience and treatments for rare ­diseases. While analysts believe that a tie-up with Shire would double Takeda’s revenue, the Osaka-based firm would also have to take on the Irish group’s existing debts. Shire, which is led by Flemming Ornskov, its chief executive, has expanded through a series of acquisitions that have seen its annual revenues rise to more than $15bn (?10bn) but have also left it shouldering a ?19bn debt pile. Shire has been given the lowest investment grade credit rating by Moody’s. Credit ratings assess the risk of corporate debt and are used by lenders to inform the cost of borrowing. Takeda’s own debt was ramped up by its takeover of ARIAD Pharmaceuticals last year. It added: “Any potential offer for Shire, if made, would have to align with strict investment criteria”, suggesting it is very conscious of not overpaying. Concerned investors, nonetheless, pushed Takeda’s shares down by more than 7pc in Tokyo on the day. The size of a deal and “global complexity” of the two pharmaceuticals giants could make a merger difficult to execute, Moody’s argued. Acquiring Shire would be “attractive” to Takeda by helping it compete globally but its sales could be disrupted by a tie-up, it added. At the end of last week, Shire shares ended last week at $35.71, giving it a market capitalisation of $32bn. The City’s Takeover Panel has given Takeda until April 25 to make a firm bid for Shire. » GSK&apos;s ?9bn Novartis deal - what next for Emma Walmsley&apos;s strategy?